I put a lot of doom and gloom posts on this blog, so today I decided to do something a little different. 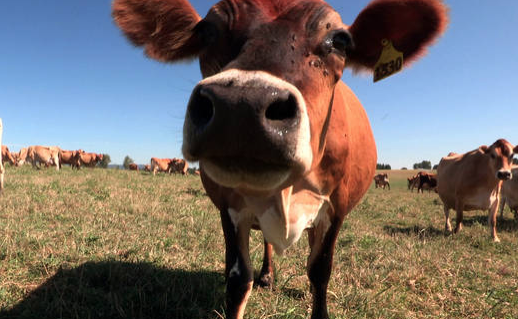 I ran across this op-ed from the New York Times – a happy story about a dairy farm not more than 40 miles from my home southwest of Portland. The farmer has found a winning and profitable combination of humane treatment of his jersey cows and best practices. This is the way dairy farms ought to be run, and, indeed, the way dairy farms used to be run. In this short article and even shorter video, many of the reasons we so often hear for why factory and industrial farming are necessary for large scale food production now and into the future – are simply found to not be true when proper organic farming guidelines are followed. The article doesn’t even mention the word GMO but it fits here at sleuth4health because dairy farms and their slaughterhouse cousins may as well be a poster child for the technology. 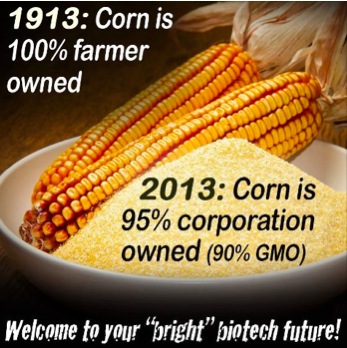 Just to name a few employs of the technology – there is the corn feed derived from Bt and Roundup Ready corn. There is that really nasty recombinant bovine growth hormone, rBGH or rBST, still widely used in American dairies though banned in most other countries (including Canada). Unless your dairy product says it is free of rBGH, you’re getting it in ice cream, sour cream, yogurt, milk, butter, etc. The synthetic hormone enables inhumanely treated cows to be milked constantly – thereby causing udder infections and pus – thereby requiring the use of antibiotics. I often think of the old acronym I was taught to learn the spaces of the bass clef when I was first learning piano. ACEG: All Cows Eat Grass. Well, that’s not really true anymore, is it? Only a special few still eat grass here in the US. So please, treat yourself to this delightful article called Where Cows Are Happy and Food Is Healthy. It was written for the New York Times by Nicholas D Kristof. The video is pretty good too. I was at the beautiful Central Oregon Coast this weekend. My husband and I stayed at a relative’s beach house, which offers a bird’s eye view of crashing surf and coarse sand. It was lovely and very relaxing, though as I’ve mentioned before, whenever I am at someone else’s home, it is virtually impossible to avoid GMO food entirely, if I want to be a gracious guest and and not a high-maintenance putz… but that’s not what this post is about. 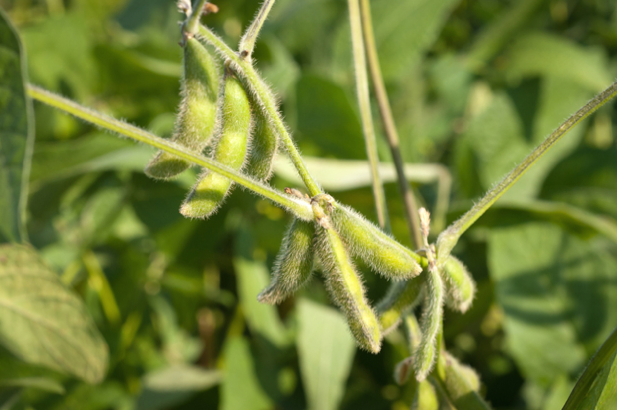 I have posted an excerpt of the last part of the article which talks about transgenic soy’s start in Argentina, third largest producer of soy worldwide, and which served as gateway for the GM crops to spread elsewhere south of the border. The beginning of the article gives a brief primer on the shady past of biotech giant Monsanto, the multinational GMO corporation that widely employs bully tactics – successfully. At the end I posted a 12-minute video titled Killing Fields: The Battle to Feed Factory Farms. It is a heartbreaking account of the human and environmental cost of GM soy. President Carlos Menem came into power in 1989 in the middle of an economic crisis. Clearly supported by private national and international monetary organisms and corporations, Menem opened the door to transgenic crops. As small farmers and growers have been displaced from their lands by means of buyouts, intimidation or exploitation, biogenetic engineered crops have replaced other harvests for human consumption and diversified crops. Unemployment, hunger and disease have grown to alarming levels in such rural areas, forcing the government to increase public programs. The seed was introduced in 1996 without environmental impact independent studies, public awareness, Congressional debate or appropriate regulatory legislation. Four companies lead in biogenetic seeds, Monsanto, Cargill, Dreyfus and Nidera, being the first one the largest by far. Monsanto controls 90 percent of transgenic seeds sold around the world. Over 200 thousand hectares are deforested every year in Argentina to make room for GM soy monoculture, with extraordinary profits from land property owners that transcend national borders into Paraguay, Uruguay and Brazil. In April 2009 Andrés Carrasco, an Argentinean embryologist working in the Ministry of Science’s CONICET—National Council of Scientific and Technical Investigations— reported that research results of glyphosate’ s (Roundup) impact in amphibians fetuses suggested the herbicide could cause brain, intestinal and heart defects. Not only his research was attacked and scorned but he was also personally threatened as reported by GRAIN. Sofia Gatica, another Argentine activist who lost a three-day-old baby to kidney failure, was also threatened and victimized by Monsanto’s defenders and allies—including local police—when her advocacy efforts led to studies showing cancer rates in her hometown of Ituzaingo were 41 times the national average, as reported by the Huffington Post. Introducing transgenic soy in Argentina was the mechanisms through which Monsanto spread and flourished into the rest of South America, pushing the seed illegally into Brazil, Paraguay, Bolivia and Uruguay, countries where transgenic crops were prohibited. The “United Republic of Soy” was born, an expression that qualifies the transnational characteristics of transgenic soy exploitation. CTNBio, the Brazilian Biosafety Technical Commission, has given consent to other GMOs including GM maize (corn), soya, sugar cane and cotton but EMBRAPA (Brazilian Enterprise for Agricultural Research) is now speculating to approve GM pinto beans, a staple Brazilians eat in large quantities every day and worldly known for being the main ingredient in Brazil’s famous feijoada. Attacks to native farmers and native indigenous populations in rural areas of Brazil have been denounced. Indigenous groups in Brazil claim they are frequently harassed and murdered to force submission of their land to multinational farmers with little or no protection from local authorities. Paraguay’s political coup against President Fernando Lugo is now suspected to have had the dark hand of Monsanto moving the “wheel of fortune.” As reported, under the Lugo’s administration, the National Service for Plants and Seeds Quality and Health (SENAVE) refused the use of GM seeds but shortly after Vice-President Franco took power, Paraguay’s Health and Social Welfare Ministry’s sanctioned the genetically modified (GM) corn VT Triple Pro, produced by Monsanto. Uruguay also resisted through light government pressure to corporations but finally gave in to Monsanto media campaign which adduced that transgenic soy was instrumental for its new Agricultural Production Plan. Changes to the farming landscape of Uruguay came with larger crop areas, and important increases in the index of economic concentration and marginalization of small rural farmers. “Studies have shown that before 1996, food allergies were an irrelevant public health concern. After the introduction of transgenic soy, food allergy jumped to be the ninth cause of health concern in 1997 and the third in 1998. GMOs cause intestinal damage—leaky gut—and is believed to generate a number of other diseases that have expanded in the last forty years including diabetes, thyroids problems, rheumatoid arthritis and even MS,” concluded Dr. Bernhoft. A new study conducted by the European Union (EU) has shown that standard tests for GM foods may be missing a potentially poisonous gene for humans. Even I, Sleuth 4 Health, am sometimes tempted to admit that, well maybe GMOs aren’t ALL bad. Am I rushing to judgement? Do I really know enough to be so dogmatic about this topic? Then I usually run across an article reporting on some new study, some new finding. Below are excerpts from just such an article and just such a study. I continue to be impressed that most of the really good research about GMOs seems to be going on in the UK. 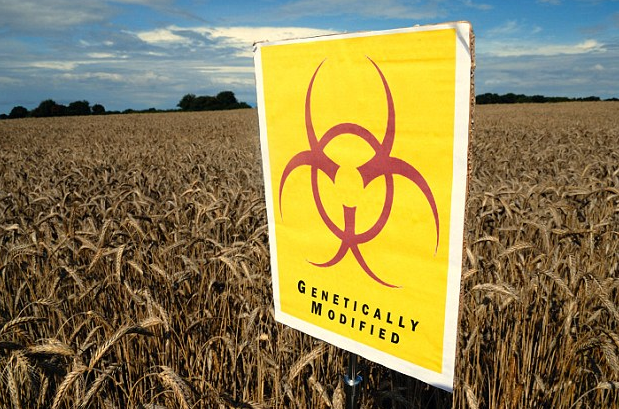 Pete Riley, director of the UK campaigning group, GM Freeze, said the discovery of (a new potentially hazardous gene), ‘totally undermines claims that GM technology is safe, precise and predictable’. Typically, GM crops are modified in the laboratory to give them resistance to being sprayed with powerful weed killers such as Monsanto’s Round-up. ‘This situation represents a complete and catastrophic system failure,’ it said. ‘There are clear indications that this viral gene might not be safe for human consumption. It also may disturb the normal functioning of crops, including their natural pest resistance. I just read this headline moments ago and it made my jaw drop: Monsanto’s Earnings Nearly Double as They Create a Farming Monopoly. I had to post and comment. Non-GMO farmers are getting pushed out of the market, but it’s not for a lack of trying on their part. Read below about the giant of all biotech companies, Monsanto, their predatory and bullying tactics and the brave heroes who dare to challenge them. But it’s getting more difficult. Excerpts from the full article written by Charlotte Silver at AlterNet. Last week Monsanto announced staggering profits from 2012 to celebratory shareholders while American farmers filed into Washington, DC to challenge the Biotech giant’s right to sue farmers whose fields have become contaminated with Monsanto’s seeds. Exploiting their patent on transgenic corn, soybean and cotton, Monsanto asserts an insidious control of those agricultural industries in the US, effectively squeezing out conventional farmers (those using non-transgenic seeds) and eliminating their capacity to viably participate and compete on the market. Between 1997 and 2010, Monsanto filed 144 lawsuits against family farmers and settled 700 cases out of court. Furthermore, food groups estimate that Monsanto investigates hundreds of farmers each year as potential culprits of patent infringement. Victims of Monsanto’s predatory lawsuits include farmers who used Monsanto seed but violated the licensing agreement, as well as those farmers who never had any intention of growing GE plants. OSGATA et al v Monsanto deals with the latter group and represents 31 farms and farmers, 13 seed-selling businesses, and 31 agricultural organisations that represent more than 300,000 individuals and 4,500 farms or farmers. …the federal courts have always protected Monsanto’s rights to profit via a patenting system that increasingly impinges on individual and market freedom, allowing Monsanto to abuse its patent rights. Do we need GM food? The biotech companies, their lobbyists and paid scientists, along with government officials who are in cahoots will have you believe that yes, we absolutely do. The common rhetoric is that genetic engineering is the only way to feed our ever-growing population and without it, we will all perish. Here are ten reasons why we don’t need GM food, taken from the GMWatch website. 5. R.W. Elmore et al., 2001. Glyphosate-resistant soyabean cultivar yields compared with sister lines. Agronomy Journal 93, 2001: 408–412. 12. B.C.Y. Collard and D.J. Mackill, 2008. Marker-assisted selection: an approach for precision plant breeding in the twenty-first century. Philos Trans R Soc Lond B Biol Sci 363: 557–572. 13. J.R. Witcombe et al., 2008. Breeding for abiotic stresses for sustainable agriculture. Philos Trans R Soc Lond B Biol Sci 363: 703–716. 14. John Snape, 2002. Gene mapping the friendly face of GM technology. Farmers Weekly, 1 March: 54. 15. – Memorandum to Linda Kahl on the Flavr Savr tomato (Pathology Review PR–152; FDA Number FMF–000526): Pathology Branch’s evaluation of rats with stomach lesions from three four-week oral (gavage) toxicity studies (IRDC Study Nos. 677–002, 677–004, and 677–005) and an Expert Panel’s report. F.A. Hines. US Department of Health & Human Services, 1993. – Witness Brief – Flavr Savr tomato study in Final Report (IIT Research Institute, Chicago, IL 60616 USA) cited by Dr Arpad Pusztai before the New Zealand Royal Commission on Genetic Modification: New Zealand Royal Commission on Genetic Modification, 2000. – V.E. Prescott, P.M. Campbell, A. Moore, et al. 2005. Transgenic expression of bean alpha-amylase inhibitor in peas results in altered structure and immunogenicity. J Agric Food Chem 53: 9023–9030. – M. Malatesta, M. Biggiogera, E. Manuali, M.B.L. Rocchi, B. Baldelli, G. Gazzanelli, 2003. Fine structural analyses of pancreatic acinar cell nuclei from mice fed on genetically modified soybean. European Journal of Histochemistry 47: 385–388. – Séralini, G.-E. et al., 2007. New Analysis of a Rat Feeding Study with a Genetically Modified Maize Reveals Signs of Hepatorenal Toxicity. Arch Environ Contam Toxicol 52: 596–602. – R. Tudisco R, P. Lombardi, F. Bovera et al., 2006. Genetically modified soya bean in rabbit feeding: Detection of DNA fragments and evaluation of metabolic effects by enzymatic analysis. Animal Science 82:193–199. – F.B. Brasil, L.L. Soares, T.S. Faria et al., 2009. The impact of dietary organic and transgenic soy on the reproductive system of female adult rat. Anat Rec (Hoboken) 292: 587–594. – A. Pusztai, S. Bardocz, 2006. GMO in animal nutrition: Potential benefits and risks. In: R. Mosenthin, J. Zentek, T. Zebrowska, eds. 2006. Biology of Nutrition in Growing Animals 4: 513–540. – G.E. Séralini, D. Cellier, J. Spiroux de Vendomois, 2007. New analysis of a rat feeding study with a genetically modified maize reveals signs of hepatorenal toxicity. Archives of Environmental Contamination and Toxicology 52: 596–602. – A. Kilic, M.T. Akay, 2008. A three generation study with genetically modified Bt corn in rats: Biochemical and histopathological investigation. Food Chem Toxicol 46: 1164–1170. – J.S. de Vendomois, F. Roullier, D. Cellier, G.E. Séralini, 2009. A comparison of the effects of three GM corn varieties on mammalian health. Int J Biol Sci 5:706–726. – A. Finamore, M. Roselli, S. Britti S et al., 2008. Intestinal and peripheral immune response to MON810 maize ingestion in weaning and old mice. J Agric Food Chem 56: 11533–11539. – A. Velimirov, C. Binter, J. Zentek, 2008. Biological effects of transgenic maize NK603xMON810 fed in long term reproduction studies in mice. Familie und Jugend Report, Forschungsberichte der Sektion IV Band 3/2008. – M. Trabalza-Marinucci, G. Brandi, C. Rondini, et al., 2008. A three-year longitudinal study on the effects of a diet containing genetically modified Bt176 maize on the health status and performance of sheep. Livestock Science 113: 178–190. 16. T. Netherwood et al., 2004. Assessing the survival of transgenic plant DNA in the human gastrointestinal tract. Nature Biotechnology 22: 204–209. 20. – R. Sharma et al., 2006. Detection of transgenic and endogenous plant DNA in digesta and tissues of sheep and pigs fed Roundup Ready canola meal. J Agric Food Chem 54: 1699–1709. – R. Mazza et al., 2005. Assessing the transfer of genetically modified DNA from feed to animal tissues. Transgenic Res 14: 775–784. – A. Agodi et al., 2006. Detection of genetically modified DNA sequences in milk from the Italian market. Int J Hyg Environ Health 209: 81–88. – T. Ran, L. Mei, W. Lei, L. Aihua, H. Ru, S. Jie, 2009. Detection of transgenic DNA in tilapias (Oreochromis niloticus, GIFT strain) fed genetically modified soybeans (Roundup Ready). Aquaculture Research 40: 1350–1357. 21. – R. Tudisco, V. Mastellone, M.I. Cutrignelli, et al., 2010. Fate of transgenic DNA and evaluation of metabolic effects in goats fed genetically modified soybean and in their offsprings. Animal 4: 1662–1671. 25. R. Binimelis, 2008. Coexistence of plants and coexistence of farmers: Is an individual choice possible? Journal of Agricultural and Environmental Ethics 21: 437–457. – Center for Food Safety, 2007. Monsanto vs. US Farmers: November 2007 Update. Washington, DC and San Francisco, CA, November.